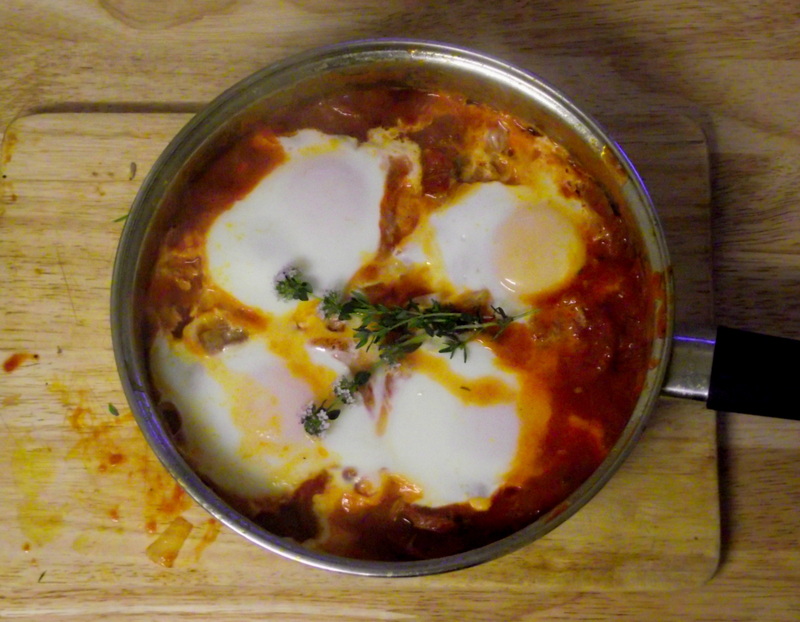 Or shakshuka, or Eggs in Purgatory, but I’m going with Moroccan Eggs because that’s what they were called in a little cafe in Hackney where I once had them for breakfast. 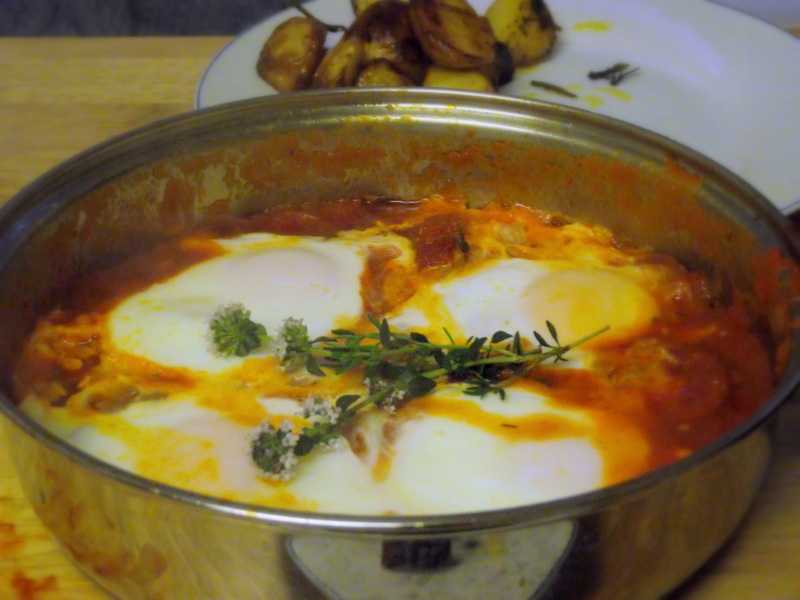 These are a fantastic brunch dish, with crusty bread for dunking, or for supper when you can’t be bothered to shop. It’s made entirely of ‘store-cupboard essentials’, plus whatever you have to hand. I had some fennel seeds floating around from these rolls, but you could also add more chili, sprinkle over some feta & coriander, swap the chorizo for red pepper.. The possibilities are endless. 1. Soften the onion in a deep frying pan or wide saucepan for about 10 minutes. Add the sliced chorizo, and fry until it starts to caramelise. Add the chopped tomatoes, sugar, herbs, and spices. 2. Leave to simmer for at least 20 minutes, then test for seasoning. 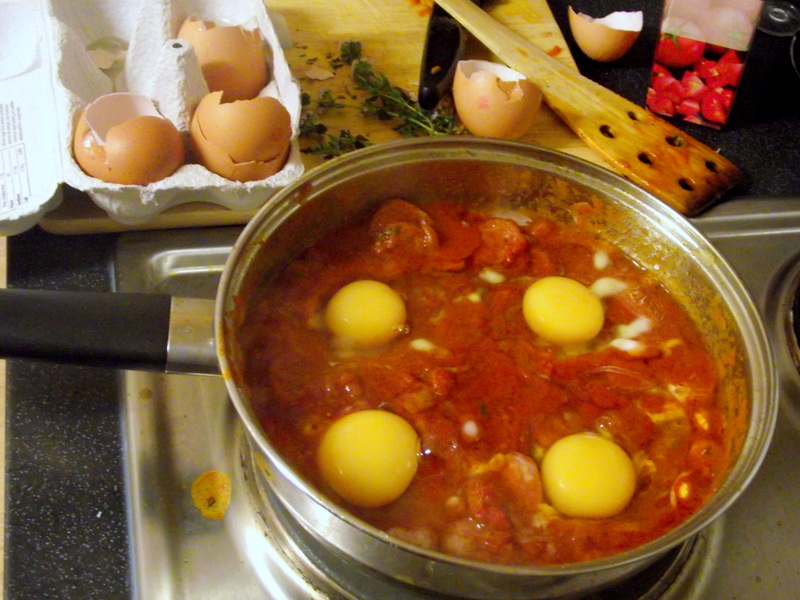 When you have a nice tomato sauce (not too thick as you need a bit of liquid to poach the eggs in), make four wells with a spoon and break an egg into each one. 3. Put a lid on and leave until the whites are set, around 6-8 minutes. 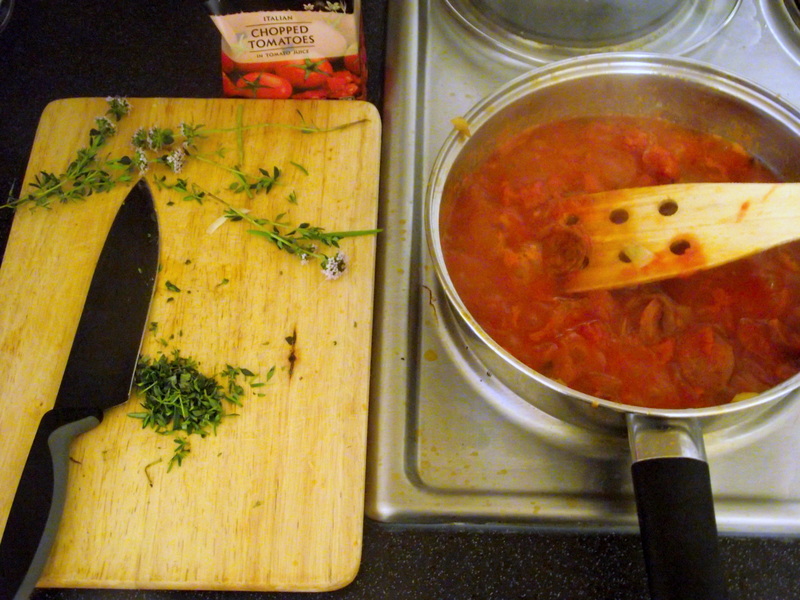 Sprinkle with more herbs before serving. We had it with roasted new potatoes which was very nice, but warm baguette or pitta is equally good.